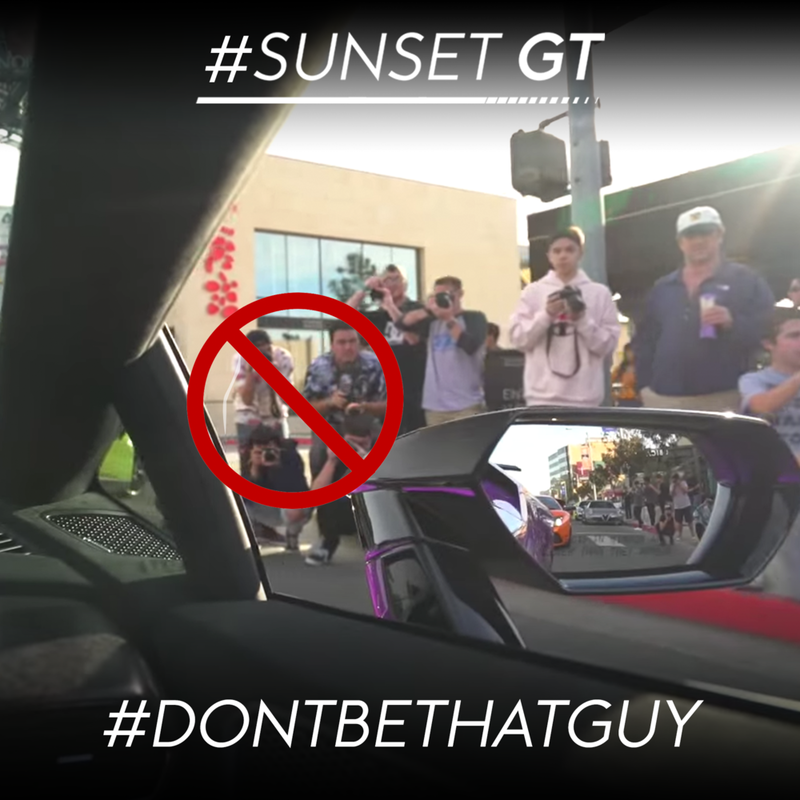 Help us share the #DONTBETHATGUY movement. ATTENTION ALL SUNSET GT GOERS! · Use ride shares! It’s great for the environment and commerce, but make sure you are dropped off and picked at our designated spots! We will display them clearly for you. · Take photos! Just be sure to sign our waiver form when you register. · Have fun! This is a friendly and exciting event; we want to keep it that way. Let’s keep safe and friendly for everyone though! Parking in the Upper Sunset Plaza Parking lot is ONLY for Aston Martin, Bentley, Rolls-Royce, Bugatti, Koenigsegg, Ferrari, McLaren, Lamborghini, Pagani, and Porsche. Though we love (and drive) all the other brands this event is to display only the pinnacle of luxury-auto brands. This is an opportunity to see some of the most rare cars in the world outside of a museum setting. Let's keep it that way.